A modern revision of the American Standard Version of 1901, which is still respected for its accuracy, the New American Standard Bible (NASB) conforms closely to the original Greek and Hebrew but keeps the reader in mind when it comes to readability. 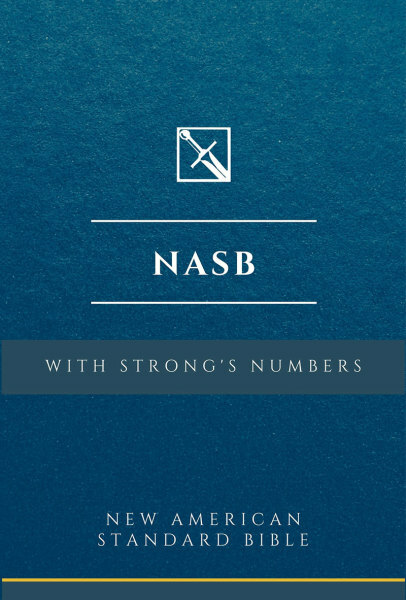 The NASB has enjoyed wide use and honor since it first entered the public in 1971. Olive Tree’s version utilizes the 1995 update of the text. The popular Strong’s Exhaustive Concordance contains all of the Bible’s meaningful, significant words and their Greek/Hebrew counterparts. James Strong, who saw his mission as making the language of God available to Bible students, published the first edition of his concordance in 1890—without the aid of modern technology. His work, which lasted 35 years, abides to this day as a universal and central tool for studying the Bible. The Olive Tree Bible App makes using this tool especially easy and fruitful. Tapping or clicking on a word or Strong's number in the text displays the dictionary information. If you desire to read the text without the visual interference of the Strong's numbers, you can toggle the numbers off and back on again at will. Because a number represents the underlying Greek or Hebrew word, your search will show you literally every occurrence of that particular word in the Bible, regardless of the form of the word whose number you tapped. This powerful search process gives you the virtual equivalent of the Englishman's Greek and Hebrew Concordances and of Young's Analytical Concordance with your NASB. Upgrade Pricing Available! If you've previously purchased the NASB 1995 edition or any Olive Tree collection or bundle that contains the NASB 1995 edition, you can purchase this item for a special upgrade price. The upgrade price will be visible when you log in to your Olive Tree account and add the item to your cart (NOTE: Upgrade pricing is only available on www.olivetree.com, and not via in-app purchase).